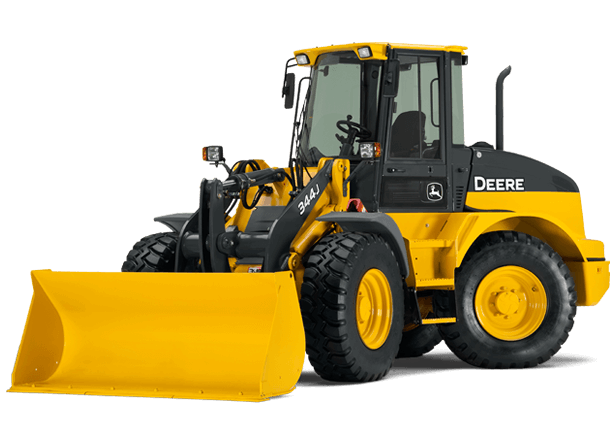 If you're seeking more productivity out of a compact loader, we've got your number. The 344J boasts outstanding maneuverability, travel speed, breakout force, reach, and stability — easily making it the most capable in its class. Its unique oscillating stereo steering turns tightest, for fast cycle times and unmatched agility. The spacious walk-through cab is comfortable and fully equipped with intuitive low-effort controls that help your operators do their best. Plus, the 344J is loaded with proven durability and uptime-enhancing features such as sealed electrical connectors, durable solid-state electrical load center, and simplified serviceability, to list just a few. Learn how the compact and capable 344J can help turn up the production on your next job. Operating Weight (8510 kg) 18,761 lb. Bucket Capacity (1.3-1.5 m³) 1.75-2.0 cu. yd. Breakout Force (7852 kg) 17,310 lb.